Honda's CBR600RR represented a big step forward for the 600cc Supersport class when it was launched in 2003. Constant development over the last decade has seen the CBR600RR evolve into one of the most polished packages ever produced in the Supersports arena. 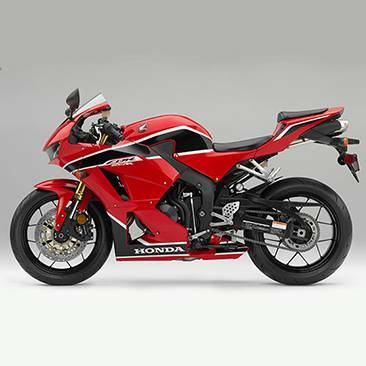 Taking inspiration from Honda's ultimate RC213V race machine, the CBR600RR offers a perfect balance of high-revving power, precise handling, light weight, and a compact overall size. The CBR600RR's extremely compact 599cc, liquid cooled DOHC 16-valve inline four-cylinder power plant makes a great contribution to the motorcycle's superb handling. The DAIS (Direct Air Induction System) smoothly channels a large volume of air directly through the intake situated in the middle of the front fairing (the area subjected to the greatest air pressure) and into the airbox via the steering head duct. The CBR600RR has HESD (Honda Electronic Steering Damper) with optimal damping force constantly maintained by the ECU. Improved damping function was key for the CBR600RR, so a fully adjustable Showa Big Piston inverted front fork, with an exceptionally rigid 41mm diameter inner tube, has been used. The CBR600RR's Unit Pro-Link rear suspension uses no shock top mount on the frame, and is a system unique to Honda. The shock mounts to the upper part of the swingarm and the lower link, effectively operating independently of swingarm movement. This stabilises behaviour under hard cornering and delivers superb traction and turning ability, plus improved shock absorption and much more consistent damping. Continued development of the Unit Pro-Link system has resulted in much better low speed performance and greater feedback in the initial phase of operation, giving superb stability and controllability. Receiving constant input from Honda's race expertise, the CBR600RR's frame is constructed from twin tubes of diecast aluminum. 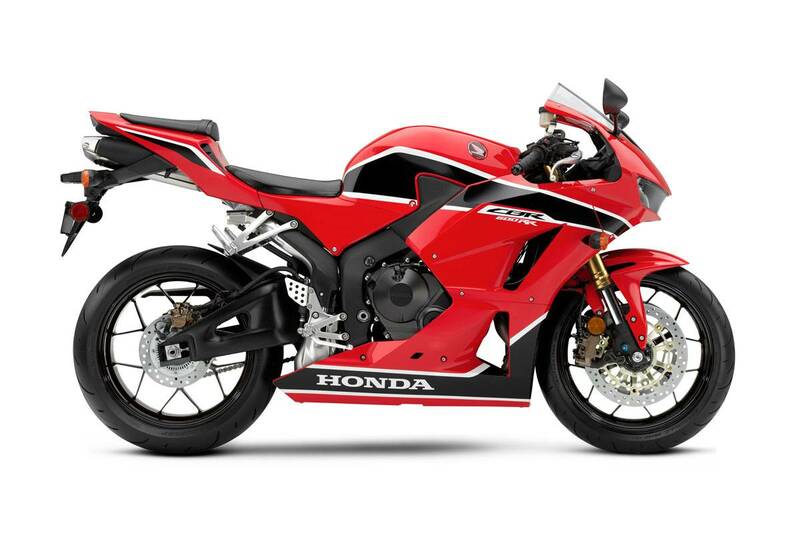 Both lightweight cast aluminum wheels feature the same 12-spoke design used on the CBR1000RR. The CBR600RR's powerful braking setup uses the well-proven setup of twin 310mm discs with radially mounted opposed-piston four-pot calipers, and a lightweight single-piston caliper and 220mm disc at the rear. The styling of the new CBR600RR has a functional beauty that mirrors that of the race machine that inspired it-Honda's RC213V. The sleek, flowing fairing houses twin line-beam headlights. The screen, as on the RC213V is small and the tail unit mirrors that of the MotoGP machine. The fuel tank cover is shaped to allow the rider to move freely and grip it with arms and knees. Available in Grand Prix Red. Please note images show overseas models, colours may vary.